Mairead Maguire was shot by Israeli forces during a nonviolent demonstration in Bil'in in 2007, but it was USA Homeland Security who judged her a criminal in May 2009. After hosting and attending the Nobel Womens' Conference in Guatemala, to discuss, 'Redefining Democracy, Human Rights and Peace' the Nobel Peace laureate was detained for two hours, questioned, fingerprinted and photographed by Homeland Security at Houston Airport causing her to miss her flight home after the three day conference which was attended by over 150 feminist activists. Upon her release from Security, Mairead stated, "This kind of behavior and treatment is unacceptable. They questioned me about my nonviolent protests in USA against the Afghanistan invasion and Iraqi war. They insisted I must tick the box in the Immigration form admitting to criminal activities. I am not a criminal, my nonviolent acts in USA opposing the war on Afghanistan, and Iraqi, are acts of conscience and together with millions of USA citizens, and world citizens, I refuse to be criminalized for opposing such illegal policies. Every citizen has a right, indeed a moral obligation, to nonviolent civil disobedience in the face of illegal and unjust laws, especially war. If anyone is to be criminalized for these illegal and immoral policies it is the USA Government, who must be held accountable before the International community for these acts of crime against humanity. "I am most disappointed at this harassment which I believe is because I do not remain silent on USA Foreign Policies which I believe to be causing a great deal of suffering around the world. I stand in solidarity with many Human rights defenders, whose only crime is to stand for the dignity and right of everyone to life, freedom and human and civil liberties. Many people in the USA, voted for President Obama (and millions around the world supported him) on the promise that changes would be made, civil and human rights be upheld, and today we await the fulfilment of these promises. We hope that President Obama will not disappoint the millions of people around the World, like me, who believed in him when he said we can change things, YES WE CAN. "The world looks to him to give moral and political leadership by upholding Human rights and International Law, and leading America to live fully by its Constitution and commitments to freedom and democracy for all. I have traveled to USA many times in the past 30 years to share the message of peace and reconciliation, but I have also undertaken my world citizenship responsibility to join with the American peace movement in protesting USA foreign policies which are causing much suffering in the World. I will continue to visit and plan to return to USA in August to join with the American Peace Movement at Los Alamos, New Mexico, in protesting USA Nuclear Weapons Programme. "I have always been inspired by the American Peace Movement and consider an honor to be able to support them in their work for a peaceful humanity, truly in the spirit of the American people and their inspiration Constitution of freedom and justice for all." Mairead stepped onto the world stage in 1976, in Belfast. She was one of thousands of ordinary people throughout Northern Ireland, led by mostly women, who demonstrated for an end to the killings known as "The Troubles" which began in 1969. By 1998, over thirty-four hundred people were killed in the crossfire of a brutal war against British colonial interests, revolutionary republicanism, and a revolt against the age-old, oppressive bigotry and fanaticism of religious ideologies. Máiread, Betty Williams and Ciaran McKeown, organized weekly peace marches and demonstrations were attended by over half a million people throughout Ireland and England. Máiread has insisted "that a peaceful and just society can be achieved only through nonviolent means and that the path to peace lies in each of our hearts." In Belfast during the 1980's and early 90's, Máiread's vision of non-violence was dismissed, ridiculed, and ignored, while those who called for retaliatory vengeance and violence were applauded. From the start, Maried understood that her dream had to reach beyond the narrow boundaries of North Ireland to embrace a non-violent future for all humanity. After a year of political negotiations, a breakthrough settlement was reached on Good Friday 1998, bringing Northern Ireland to an Easter dawn of peace. Maried and Betty were awarded the Nobel Peace Prize in 1977 for what had once been unimaginable became reality and Maried continues to envision the unimaginable: justice and peace in Israel Palestine. "In this the 2lst century many of us take freedom for granted, but not everyone has Freedom here in Israel/Palestine…Many Arabs who do live in East Jerusalem live in fear of their homes being demolished or expulsion by the Israeli Government. Since l967 almost 20,000 Palestinian homes have been demolished in the West Bank. The expulsions and demolitions continue almost daily, along with continuing development of illegal settlements for Jewish settlers in east Jerusalem, and the West Bank. "In spite of all this, I myself have great hope for change in the Middle East…I know that all occupations, and violent conflicts, sooner or later come to an end and that here in this part of the world, occupation will end, justice will reign, and reconciliation will flourish between the Israeli and Palestinian people. "But before peace can flourish, its roots of freedom, equality, justice, must be nourished with courage and truth. It takes courage to speak truth to power when the consequences are often suffering. The truth shall indeed set your spirit free, but in this oppressive occupying power, the truth will also be physically, emotionally and in other ways very costly. "But we must challenge not only Israeli state injustice, but also challenge Palestinian armed militant insurgency groups to reject violence and use non-violent civil resistance – a political strategy which is not only morally right but in our Northern Irish experience does work. Still there have always been people in history, willing to tell the truth at great personal cost to themselves, and it is to such people we, the human family, remain indebted. "We are indebted especially to all those who continue to tell the truth of Nakba…in l948, when 750,000 Palestinians were expelled from their homes. Today, the occupation continues also with the wall annexation of more Palestinian land, and the building of an Apartheid Racist system by the Israeli Government. "Another great injustice is currently being perpetrated upon the Palestinian people by the Israeli Government, with their blockade of Gaza. Recently, I went with the Free Gaza Movement by boat from Larnaca to Gaza to help break the siege of Gaza. This siege is a policy of collective punishment of one and a half million Gazans by Israel because they voted for a Hamas Government. "Collective punishment of civilians is against the Geneva Convention. The people of Gaza have been closed off completely from the world for two and a half years now, and their community and infrastructure is slowly being destroyed. There is a shortage of medicines, food, electricity and the basic necessities of life. But perhaps the worst form of torture for any human being is being unable to hold and touch the people they love, and the people of Gaza are not allowed to go across the now closed borders to be with their families. Hundreds of wives are parted from husbands in the West Bank, over 700 students cannot get out to go abroad to take up their positions in Universities, Sick people cannot get out to get hospital treatment, over 8O% of the children are suffering from malnutrition, and they have no milk for the children. "Gaza is like a huge prison except the Israeli Occupiers' policy is depriving the inmates of sufficient food and medicines for survival, in this the worlds largest open-air prison. The International community and UN, should resume economic assistance as they have a responsibility towards the civilian population of Gaza, which is not dependent on whether Hamas satisfies the political conditions set by Israel or whether ceasefires hold. "In the face of all this injustice perpetrated upon the Palestinian community, The EU, European Governments and much of the world community, have not only remained silent but have connived with this injustice by cutting off financial aid necessary for the Palestinians' survival, and are thus complicit with these ongoing crimes against humanity. "After meeting with Hamas Prime Minister, Ismail Haniyah and speaking at the Hamas Parliament, and at a meeting with over 100 political representatives, of all the political parties in Gaza, including Hamas and Fatah, I took away with me real hope that more and more Palestinians recognize that Palestinian National Unity and non-violent civil resistance is a political strategy that will work and give them great strength. Increasingly they are recognizing that divided Palestinian people, armed struggle and militarism will not solve their problem. "I hope that all those of us who want Peace in the Middle East, will support the rightful struggle of non-violent civil resistance of Palestinians for an end to Occupation, a Free Palestine, and the upholding of all UN resolutions including the UN resolution 194 - Right to return of Refugees. "It is to be hoped now that the Israeli Government will recognize too that Militarism, occupation and repression only feeds the violence and they will enter into serious dialogue and negotiations with Hamas and other Palestinian leaders, as the democratically elected voice of the Palestinian people. "Our security as the human family does not lie in militarism, nuclear weapons or war. We are all challenged to move from a Culture of violence, to a Culture of non-violence. Last year the Nobel Peace Laureates launched a Charter for a world without violence, in which they endorsed the words of the WHO 'Violence is a preventable disease'. "The non-violent message in this Charter is not new. 2,000 years ago Jesus said 'Love your enemies, do not kill'. The Cross is for me the greatest symbol of non-violent love in action, and in the words of the late Fr. McKenzie 'you cannot read the bible and not know that Jesus was totally non-violent'. In 1999, the UN established The Decade of Creating a Culture of Nonviolence for All the Children of the World. America is on the record as abstaining from its support because "it would make it harder for us to go to war." This patriotic American Christian anarchist dissents from that attitude and supports the UN Decade of Creating a Culture of Nonviolence for ALL the Children of the world, so I am on my way to Gaza June 4th and will be praying as one among millions who are saying that 2009 is the time for the change we all want to see in the world; a free Gaza Palestine and secure Israel, and that will take a miracle and that begins with prayer. June 4-10, 2009 is the World Week for Peace in Palestine Israel and was established by The World Council of Churches, who are calling on its members, related organizations and all others to be in solidarity for a just peace in Palestine and Israel. Might the fierce urgency of now ignite the spirit that will transform hearts and minds, and what is needed at this time are many more like Mairead who creatively disturb the status quo with acts born of nonviolence and who speak the truth in love, with courage and hope. http://www.presstv.ir/programs/player/?id=92015 ] when he referred to Nobel Peace Prize Laureate Mairead Maguire, and I as two well meaning ladies living in a fantasy world for calling for an end to the Israeli occupation of Palestine through dialogue and nonviolent reactions to violence. On April 19, 2009 Wolf flung straw men and red herrings at Mairead and I in his vain attempt to blot out reality as the three of us addressed the topic: "Mitchell in the Middle: Obscure Way to Peace?" Wolf deemed nonviolent resistance as "mealy mouth" and meaningless, exposing his vapid ignorance of the programs of practical nonviolent responses to the evil that is violence that have been articulated since the days of Hebrew midwives, Jainism, Buddhism, Jesus, St. Francis of Assisi, Gandhi, Martin Luther King and the Muslim Badshah Khan. "For decades, the Palestinian struggle for freedom was largely a non-violent movement. With occasional pockets of armed resistance, Palestinians in the occupied territories employed methods of general strikes, demonstrations and the like to express their demands and desires to finally live in freedom. And yet these were the years where Palestinians saw that great majority of their homeland swallowed up into what is now the State of Israel. Land was stolen with no recompense to its owners, prisons burst at the seams with prisoners who never received a trial, houses demolished by the hundreds, entire orchards of olive and fruit trees ransacked and burned. All this was carried out in the confines of an “Intifada-free” society. 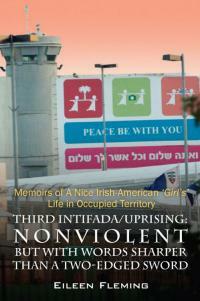 So, it might be suggested that Palestinians gave non-violent resistance more than a fair shot." After a year of political negotiations, a breakthrough settlement was reached on Good Friday 1998, bringing Northern Ireland to an Easter dawn of peace. Maried was awarded the Nobel Peace Prize in 1977 for what had once been unimaginable became reality and she continues to envision the unimaginable: justice and peace in Israel Palestine. On January 22, 2009 I received an email reply from Mairead inquiring what she thought about the appointment of Senator Mitchell as President Obama's Special Envoy to the Mid East. Senator Mitchell is a good man whom I admire as he helped in the peace process in Northern Ireland. I remember he traveled well over 100 times from USA to Northern Ireland to help bring the various parties together and was very helpful. I am glad he has been appointed and know he will bring great compassion, fairness and perseverance to his enormous challenge. Yes, like him I believe every conflict can be solved, where there is political will. The conflict of the Israeli state and Palestinian state (yes I said Palestinian state as even if Israel does not recognize it the world does) can be solved by Israel ending its occupation and apartheid system and this is a problem of political will of Israel and USA to bring freedom and justice to the people of Palestine. I hope the appointment of Senator Mitchell is a sign that the USA Administration is prepared to treat both parties fairly and equally, and to work for Palestinians Human rights and Freedom. Peace- Mairead. Upon accepting his appointment Mitchell stated, "For those of you in the Middle East who are discouraged, I understand your feelings. But from my experience in Northern Ireland I formed the conviction that there is no such thing as a conflict that can't be ended. Conflicts are created and conducted by human beings. They can be ended by human beings. I saw it happen in Northern Ireland although admittedly it took a very long time. I believe deeply that with committed, persevering and active diplomacy it can happen in the Middle East." During our TV debate, Wolf regurgitated that Hamas was responsible for breaking the 2008 cease fire and maintains a willful blindness to Israel's war crimes, state terrorism and defiance of international law and negation of human rights to Palestinians. 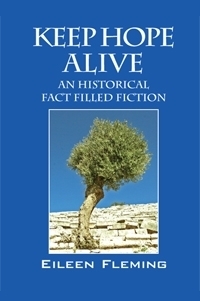 "Based almost exclusively on Israeli newspapers and government sources, confirms that there were no rocket or mortar attacks claimed by or plausibly attributed to Hamas during [the more than four months after 19 June 2008]. This can also be verified by surveying archives of news reports from the period. The few that were launched, none of them causing any casualties, were claimed by the al-Aqsa Martyrs Brigade, by Islamic Jihad, by "the Badr Forces," or by nobody. "Hamas Prime Minister Ismail Haniyeh called repeatedly for a cessation of rocket fire, and denounced those factions who broke the truce. A Hamas spokesman criticized Fatah for allowing the al-Aqsa Martyrs Brigade, which is affiliated with Fatah, to fire rockets. Meanwhile, Israeli occupation forces' murders and settler pogroms continued unabated on the West Bank. They included an attempt by a settler to fire a homemade rocket toward the Palestinian village of Burin, which nearly killed another settler. During the lull, then, Israeli settlers fired more rockets (i.e., one) than did Hamas. "In a document entitled "The Hamas terror war against Israel," The Israeli Ministry of Foreign Affairs provides striking visual evidence of Hamas's good faith during the lull. It reproduces two graphs drawn up by the Intelligence and Terrorism Information Center at the Israel Intelligence Heritage & Commemoration Center"
Reality is the total number of rocket and mortar attacks out of Gaza went from 245 in June- to 26 total for July through October; a reduction of 97 percent. Reality is that Israel violated the truce by its siege of terror and famine in Gaza, while Hamas refrained from launching rockets into Israel until November 4, 2008 when Israeli commando squads entered Gaza and killed six Hamas members and they retaliated with firing 30 rockets. It is difficult to sustain a grassroots non-violent movement. The sceptics argue nonviolence doesn’t work, the militants argue only violence gets results, and many just sit on the sidelines to see which way the wind will blow. In Bil’in every Friday the wind blows, and it blows across the olive groves and into the homes of Bil’in villagers and lungs of young children playing in their gardens. On this wind is the tear gas from the metal gas cylinders fired by the Israeli military at the Palestinian villagers, the Israeli peace activists, politicians and International activists who have walked to the wall to protest its annexing of yet more of the Bil’in villagers’ land. I wonder to myself, as I watch the children, what this weekly inhalation of gas is doing to their young lungs, equally I wonder to myself what it is doing to their minds as they listen to the ambulances rushing up the road to assist the people injured with the gas, plastic bullets, and tragically sometimes, most recently, live bullets. It’s the women and children who are suffering so much in this situation. During my stay in a Palestinian home, where I was treated with such unbelievable kindness, I was saddened as I watched the Palestinian mother, who suffers from migraine headaches, no doubt brought on by stress, struggle to bring up her family in the midst of violence, real hardship of unemployment, and little hope that things will ever get better. One of her young sons, Mohammad, showed me his tin of plastic bullets, CS canisters, and bullet shots, one of which was actually collected inside his own home and which hit his mother in the face narrowly missing her eye. Mohammad pointed to his mother’s scar on her face and then to the plastic bullet, which had been fired into their home by Israeli soldiers. The question for me is ‘what is this kind of military repression upon the Palestinians doing to the mental and physical health of the Palestinians? Also what is this violence doing to the Israeli soldiers and the Israeli people, who in their heart of hearts know that injustice is injustice and the occupation is wrong. Also what it is doing to the minds of the wider Palestinian society, many of whom know that the ‘armed struggle’ suicide bombings, Qassam rockets into Sderot, and other such acts of violence, is wrong.’? I found a lack of hope amongst many Palestinians/Israelis and people asking what can be done to break this mad cycle of violence and counter-violence? For me, that is why the grassroots non-violent movement of the people of Bil’in (and in other areas of Palestine) together with the Israeli peace movement, is so important. It is a courageous movement of people, both in Israel and Palestine, who recognize there will be no military or paramilitary solution to the Israel/Palestine conflict. They recognize that this can only be solved by the civil community, together with all inclusive, unconditional dialogue and negotiations, by all political leaders willing to take risks for peace. Such a movement deserves our help, and that is why for the past two years I have gone to attend the Bil’in Nonviolence Conference and Peace Walk, to join in solidarity with the Bil’in villagers, andPalestinian/Israeli/International grassroots activists to protest the Wall. (This wall has been declared illegal by the International Court of Justice). For over 3 years now, every Friday, the villagers of Bil’in (outside Ramallah in the occupied terrorities of Palestine) have gathered in their mosque to pray, and afterwards walk down the road to the fence which marks the route of the wall at the end of their village. They are nonviolently resisting the continuing building of the wall both by weekly protests and also through the Israeli courts. In 2007 the villagers of Bil’in won an Israeli high court of Justice decision to remove the Israeli wall that separates the village from its land; However, the Israeli army refused to comply with the order for ‘security reasons’. The court ruling also forbids the settlers from expanding the settlement of Mitetyaho Mizrah which is build on the village land. However on 26th May, 2008, Israeli settlers installed six mobile homes on the villagers land sending out a clear sign that they are going to expand their illegal settlement. The villagers tried to stop the installation of the mobile homes but the Israeli soldiers prevented them and protected the settlers as they erected the mobile homes. The Third Bil’in Conference held June 4-6th, 2008 addressed many issues, including the extension of the settlement and building of the mobile homes. The Villagers Lawyer updated them on developments but pointed out that the installation of the mobile homes changes facts on the grounds and this could well change the original Israeli court decision against the villagers. Attending the Conference was Prime Minister Salam Fayyad, the representative of President Abbas, members of the PLO Executive Committee, members of the Palestinian National Council and representatives of various political parties and civil society groups. It was a very successful three day conference with several hundred people participating, many coming from l2 different countries, and including Louise Morgantini, Deputy Speaker of the EU Parliament. On the second day, the participants split up into groups to visit surrounding areas of occupied Palestine, such as Bethlehem, Hebron. For those people visiting first time they were shocked by the heavy militarization, and growing apartheid system within the occupied terrorities. To see the continuing building of the wall and further Israeli settlements, particularly around Jerusalem, and fresh rubble of demolished Palestinian homes, is truly a shock to the system. 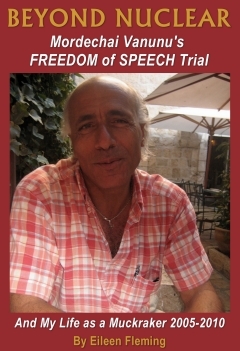 Even after many visits to Israel/Palestine it was still for myself a profound feeling of unbelief and shock that such injustice upon the Palestinian people can go unchallenged by the International Governments, as the Israeli occupation and military apparatus, continues to be financed by the American Government. Talk of Peace Process by the Israeli Government sound hallow in light of the facts on the ground where they continue to ignore USA and UN resolutions and build settlements, etc., (The siege of Gaza and collective punishment to the point of hunger and starvation of the people of Gaza, by the Israeli Government, is both illegal and inhumane, and the siege must end, and ceasefires recalled by Hamas and Israeli military. 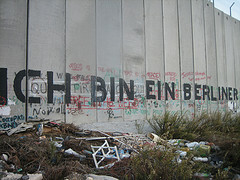 The Conference stated as one of its goals the unification of the Palestinian people, in order to apply pressure on Israel for the implementation of the July 9th, 2004 ruling of the International Court of Justice, and UN resolutions which have largely been ignored, and take a firm stand regarding the Israeli defacto annexation of Jerusalem, the apartheid wall, and the continuing enlargement of settlements. The conference also asked the Palestinian people to boycott all Israeli good and channel all its efforts in the struggle against the occupation towards peaceful popular resistance that has been proven to be the most strategic and successful in opposition to the wall, and thereby increasing the peaceful resistance that has its roots in the Palestinian struggle as exemplified in the first intifada. The conference also asked International and European supporters to put pressure on their EU leaders to stop the proposed upgrade in their relationship with Israel in light of their violations of international laws. Many other actions such as boycott, disinvestment in Israel, , etc., were proposed as methods International supporters can use to highlight continuing illegal occupation. At the conclusion of the Conference the participants went to watch a soccer match between the Internationals and the local Palestinians. Minutes into the match the Israeli Occupation Forces shot tear gas into the makeshift football field and we all suffered from the effects of tear gas and had to leave the area. Later we all walked to the Wall for a non-violent protest. Again the Israeli Soldiers fired tear gas and plastic bullets into the crowd. Many of us, including village women, Minister Mustafa Barghouti, Deputy Speaker EU Parliament Louise Morgantina, suffered gas inhalation, and an Italian Judge, was hit with a gas canister and hospitalized. (Last year as well, at the same place, I was hit with a steel tipped plastic bullet and overcome with tear gas. I subsequently received an apology from the Israeli Government). I believe this violent repressive treatment by the Israeli military, of the non-violent peace movement is counter-productive as it feeds the anger and strengthens Palestinian military resistance, just at a time when many Palestinians are turning to support the non-violence resistance. After a long drawn out military resistance it is hard for many Palestinian militants to accept the military struggle is coming to an end. Consequently, those brave people who have taken up the non-violent struggle now, are doing so with a passion and an absolute commitment to stay with nonviolence no matter what the cost, no matter for how long. They passionately believe the solution is there and peace will come. They need the help of International Governments to convince the Israeli Government that they have Palestinians partners for dialogue and negotiations and to grasp this opportunity now. The Palestinians also need to see change on the ground, and that change is within the power of the Israeli government to deliver. Upholding the Israeli Court ruling to remove the wall that separates the Bil’in villagers from their lands would give hope that nonviolence works and strengthen those villagers who have put their lives on the line to say NO to violence, Yes to nonviolence as the way forward for the Palestinian people and their Israeli brothers and sisters. I have great hope for the future of Palestine/Israel, and my hope comes from people such as the courageous villagers of Bil’in, and the Israeli Peace activists. I believe by standing together to reject the bomb, the bullet, and all the techniques of violence, and saying ‘yes’ to building justice and peace for themselves and their neighbours, they bring closer the day of peace for Palestinians and Israelis. 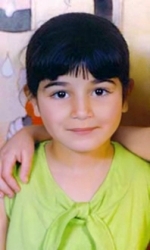 Nobel Peace Laureate (http://www.peacepeople.com) Bil’in, Palestine (June, 2008).